We're nearly sold out of a number of items at our webstore, including the Mamiffer & Locrian "Bless Them That Curse You" 2xLP, but we'll be re-stocking in the coming days. 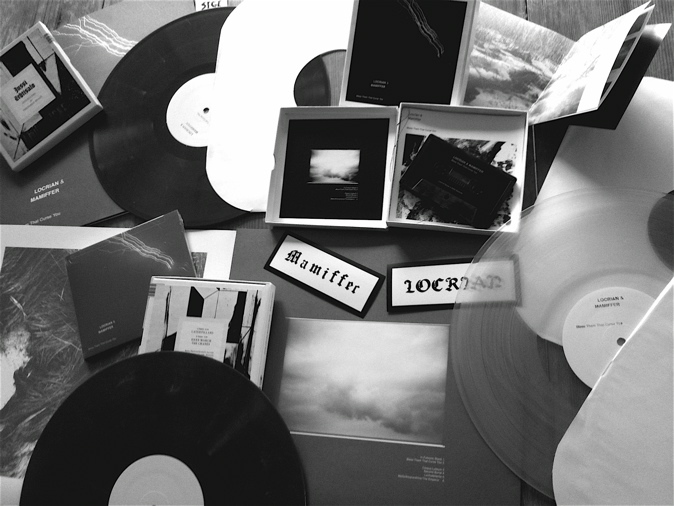 Along with the 2xLP we're also replenishing our stock on the following: Mamiffer "Mare Decendrii" CD, Mamiffer "Hirror Enniffer" CD, v/a Utech Fest 2xCD, Mamiffer/Merzbow/HOLC "Lou Lou..." CD/DVD, and the Mamiffer/HOLC LP. For any of you that might be looking for the Mamiffer "Mare Decendrii" 2xLP, we're hoping to do a repress of that on SIGE in the near future. For European customers who are concerned about the high cost of mail-ordering from the US, ANOST, Denovali, Green Hell and a few other distributors across Europe have copies of the Mamiffer/Locrian (and other SIGE titles) available now, or will later in the month. Lastly, Brooklyn Vegan has posted an interview with Mamiffer and Locrian conducted by Oxbow's Eugene Robinson here. • Mamiffer & Locrian "Bless Them That Curse You" 2xLP/CD/cassette. Two versions of the vinyl are available: brown/grey mix and clear. The cassette is an edition of 200. Released in cooperation with Profound Lore, Land of Decay and Utech. • Jussi Lehtisalo "Interludes for Prepared Beast" cassette. Edition of 100 copies. Jussi is also a participant in Circle, Pharaoh Overlord, Split Cranium and Ektro Records. Released in cooperation Full Contact Records. Full live sets from Mamiffer and House of Low Culture with drawings by A. Turner. Also features live tracks/sets from Locrian, Horseback, James Plotkin w/Jon Mueller, etc. A Utech Records release. Also up today is an interview with Mamiffer and Locrian on Tiny Mix Tapes. Read it here. 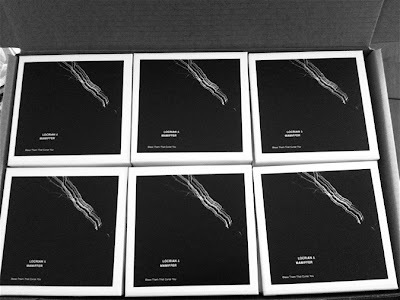 COMING SOON: JUSSI LEHTISALO "INTERLUDES FOR PREPARED BEAST" CASSETTE. Full length album from Jussi Lehtisalo (Circle, Pharaoh Overlord, Split Cranium, etc). Limited to 100 copies. More information coming soon, audio clip.. now. 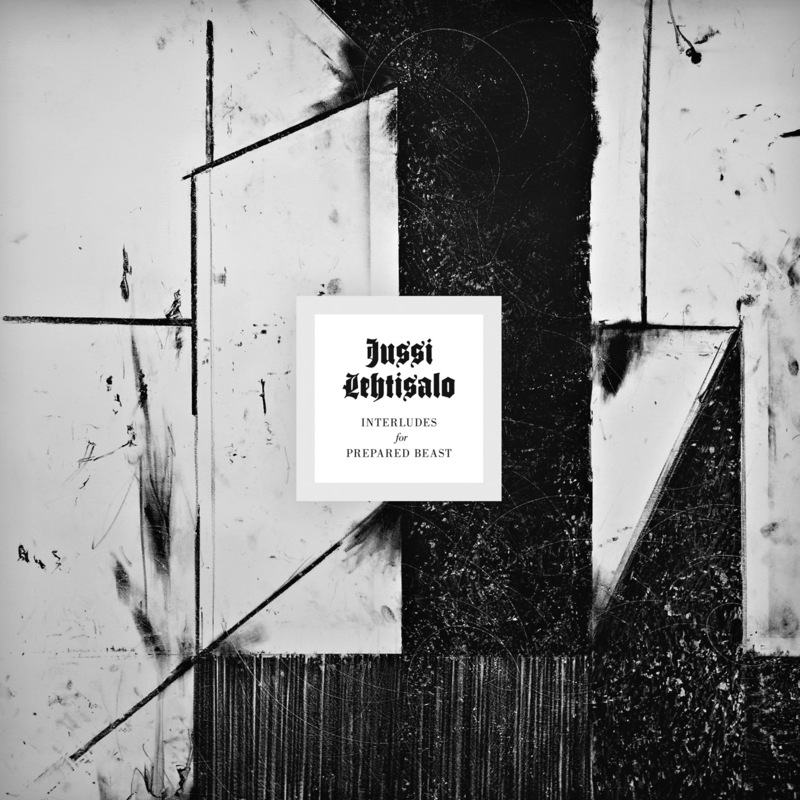 LP version released by Full Contact/Svart. Thank you.